Living with long term conditions such as diabetes, cancer, learning disabilities or mental health problems can often mean regular visits to hospitals or clinics and care from a range of different settings. The PRSB is working in partnership with North West London Collaboration of Clinical Commissioning Groups (CCGs) to develop the digital care and support planning standard, so care plans can be effectively shared between patients, carers and all the health and care professionals involved in that person's care. 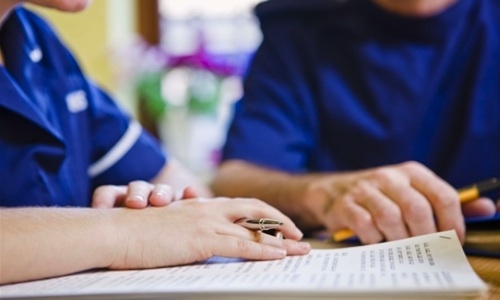 Developing a standard for generic care planning, including end of life treatment, will contribute towards the creation of a more joined-up care system. Standards will also help to enable people to manage their own care, with the support of a wide range of services including GPs, hospitals, occupational therapy and social care. The standard will help citizens and health and care professionals to get the right information when they need it, in order to personalise care, and improve the experience for the patient, their carer and their families. The project will build on existing national and international work on integrated care planning, linking closely with the integrated care planning collaborative, the Healthy London Partnership and the North West London Collaboration of CCGs. NHS Digital is also engaged in the project to develop technical specifications which can be implemented on health and social care IT systems. The draft standard was published in March 2018. We are keen to hear from anyone wanting to pilot the standard with our support. Please contact support@theprsb.org for more information.